Given his humble background, he worked through his childhood in a series of menial jobs singing to himself and falling in love with La canción Española. 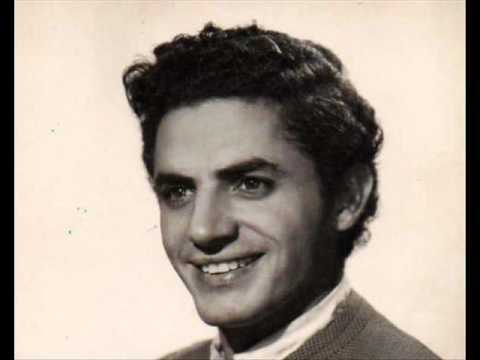 At the age of fourteen he moved to Madrid to seek his fortune and after winning a talent contest in 1949 he made his first record, which included the songs “El Agua del Avellano” and “El Macetero”, which was used in the short of the same name and was his first contact with the cinema. In 1952 he made his début in the Teatro Fuencarral with the show Así Es Mi Cante. His crystal clear voice and unmistakable falsetto were very popular on the radio and immediately the public took him to their hearts. Between 1954 and 1965 he starred in several films, amongst them El Pescador de Coplas, Esa Voz es Una Mina and El Cristo de los Faroles. He also made Café de Chinitas and Puente de Coplas with the great Rafael Farina. In 1986 he returned to the stage and in 1990 alongside other figures such as Juanito Valderrama, receieved a Platinum Disc in recognition of his artistic career. He had had to stop performing the year before for health reasons. He had been married to Ángela Tejedor since 1952, and had eight children. Five of them followed him into the arts – most noticeably, perhaps, his daughter Ángela one of the greatest living Spanish actresses. His granddaughter, Olivia, carries on the family tradition. Antonio Molina died in Madrid on March 18 1992 and is buried in the cemetry in Fuencarral. His funeral was a attended by thousands who came to pay their respects. In 2002 to mark the tenth anniversary of his death, a statue was raised in his honour in a square in the centre of Malaga.